Golfbreaks.ie Inspection Trip to Lagos! It’s Michael here….. I’m new to the Golfbreaks.ie team. It has been a pleasure to have joined up with Golfbreaks.ie, having worked in the golf industry for years and being a big fan of the game I feel I have a lot to offer and I’m really looking forward to dealing with more Irish golfers. Being new to the Golfbreaks.ie team it was important for me to get to know our golf holiday destinations, this started with an inspection trip to the Algarve. This blog details of my first trip to the Algarve, with Lagos under the spotlight…. It is late February in Ireland and we’ve been hit with consistent stormy weather week in & week out since the turn of the year. Only the most hardened of golfers will have braved the testing conditions on their home course, that is when they were even open to play. In comparison the Algarve is a mild 14 degrees on arrival at 9pm into Faro Airport, with blue skies and 20 degrees of heat during the day, it sure is a striking contrast! 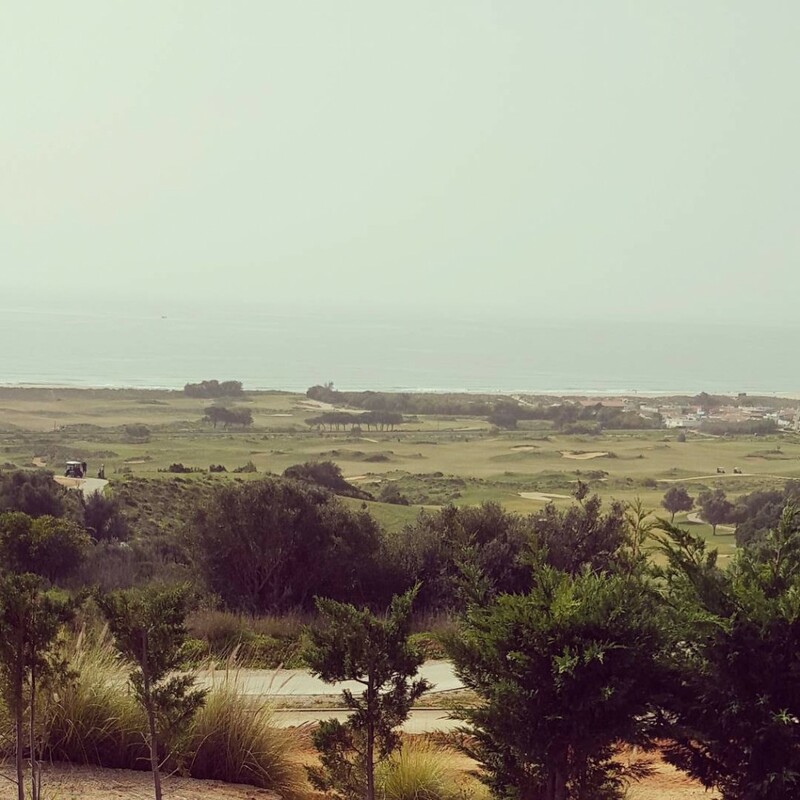 My visit was intended to get to know all the best golfing destinations in the Algarve. First stop Lagos….. It is fair to say the Algarve isn’t short of great golfing destinations, with courses of the highest quality aplenty up and down its wonderful coastline, coupled with an all year round sunny climate we can only dream of in Ireland. Along with a vibrant nightlife and quality accommodation, it is easy to see why it is such a popular golfing destination. On my recent and first visit to the Algarve, I had heard and read up on all the great courses & nightlife in Quinta do Lago, Vale do Lobo, Vilamoura and Albuefeira among others, generally the most visited areas for golf groups and they are all great golfing destinations in their own right, even more impressive when on site, however this piece is about my first stop on my trip which was Lagos. Lagos is becoming more and more popular with golfers travelling to the Algarve, with many golfers finding themselves going back time and time again, so I wanted to find out the reasons why. Flying into Faro airport it took me about 40 minutes on the main motorways to get there via car. Located on the western Algarve past Albufeira & Portimoa is where you will find the more tranquil town of Lagos. The town of Lagos is more untouched and traditional than say Vilamoura or Albufeira, however it provides all the bars and restaurants that golf groups will need/want, not to forget the beautiful beaches nearby & a picturesque Marina packed with eye catching boats and yachts, perfect for an evening stroll. 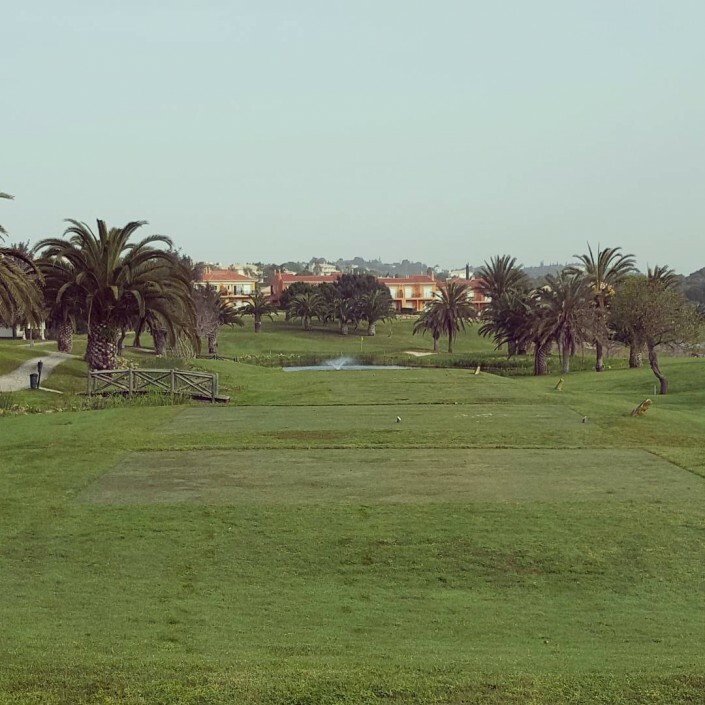 Lagos has golf courses to rival any area in the Algarve, the 27 hole Onyria Palmares, Boavista Golf Resort & Espiche Golf Club all provide golfers with challenging and scenic golf on highly manicured golf courses. The Palmeres golf course is a breathtaking golfing complex, it has 27 championship holes to offer over 3 nines, making it ideal for golfers to play multiple rounds. It is one of the only courses on the Algarve which offers a real links like feel albeit only for one of the nine holes – The Praia course. Very new in golfing terms, the Palmares course was only fully playable in 2011, it has been quick picking up recognition, already ranked as the third best golf course in Portugal by the world renowned Golf Digest. The green fees work out surprisingly affordable for such a quality course & they collaborate with certain hotels to further reduce the price, it is a real must for golfers to play while staying in Lagos & other parts of the Algarve. Boavista Golf Resort a real gem of a golf resort, what struck me first was the warm welcome & really nice clubhouse. The look and feel of the resort was really eye catching. The course offers great views throughout with a mixture of challenging golf holes & more playable ones. Boavista golf course is very pleasing on the eye & would be hard not to enjoy even if you’re having a bad round. The signature hole for me was the long par 3 14th, with palm trees lined either side of the hole & a water hazard in front of the green, a good shot here would be sure to make your day. Boavista Golf clubhouse is ideal for enjoy a post round meal and drink. It also offers accommodation on site with luxury apartments located through the golf complex ideal for golfers looking for a resort stay or those renting a car. Another ideal golfing location while staying in Lagos is Espiche golf club. 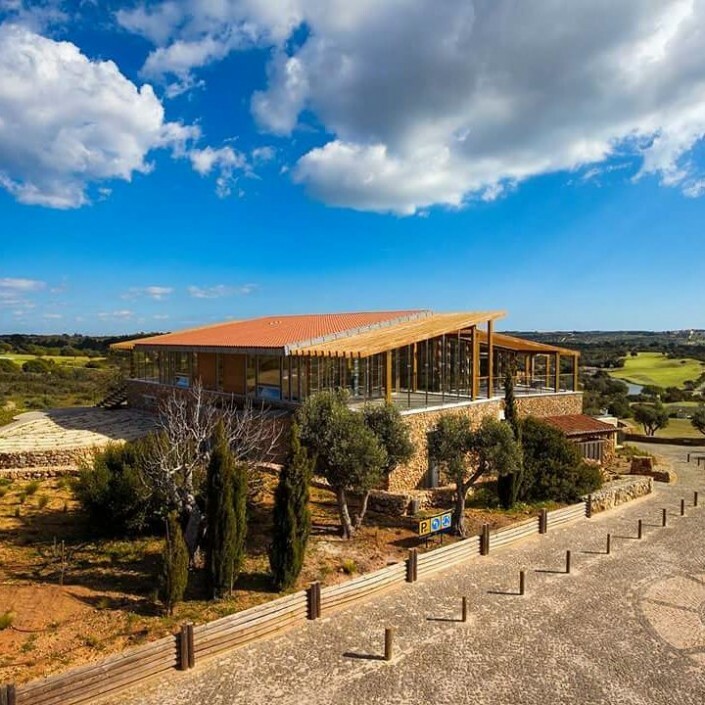 Espiche golf club boasts one of the best clubhouses in the world, a real modern twist to their traditional environmentally friendly golf course. Espiche offers great value green fees and a very playable course for golfers of all levels making it another ideal golf stop in Lagos. Lagos is not short on great accommodation to stay in. The best located hotel is the Tivoli Lagos hotel, located right in the heart of the town, the 4 star hotel has a traditional feel, reflecting the local culture & it the most popular choice for golfing groups. I stayed at The Marina Club Lagos Resort which has 88 well decked out spacious apartments. 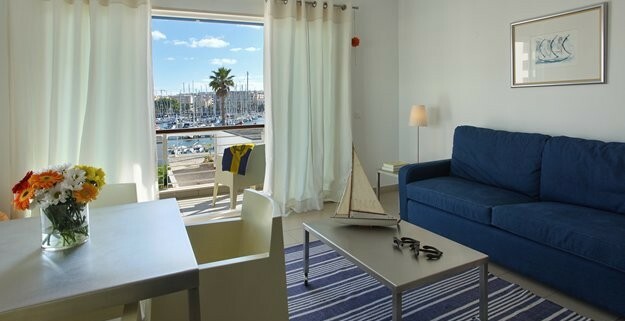 Located right on the marina overlooking the sea, it is about a 10-15 minute walk to the town of Lagos. The hotel offers great package deals with Palmares golf course & I for one couldn’t fault it. Another option a little further out from the town is the Vila Gale Lagos Hotel, opened in 2009, offers a real modern decor with a fashion theme throughout the hotel & really high end amenities inside. All our accommodation in Lagos is available here. After my visit to the Algarve it is easy to see why it is such a popular golf destination as a whole, with no shortage of great golfing hotspots and Lagos can certainly be put down as one too.